The new Cadillac CT6 may be set to debut later this month at the New York International Auto Show, but today, we got some juicy new details about the luxury sedan. Well, it turns out that Cadillac is really amping up the power in these bad boys by incorporating a new generation of V6 engines, including a new Twin Turbo V6 that will be one of the most advanced six-cylinder gasoline engines in the entire industry! Adding to the prestige of this new setup is the fact that the new 3.0L Twin Turbo is the only six-cylinder engine to combine turbocharging with cylinder deactivation and stop/start technologies. All of this helps the ride be as efficient as possible. Amazingly, the fuel efficiency of this setup doesn’t hinder the power at all. 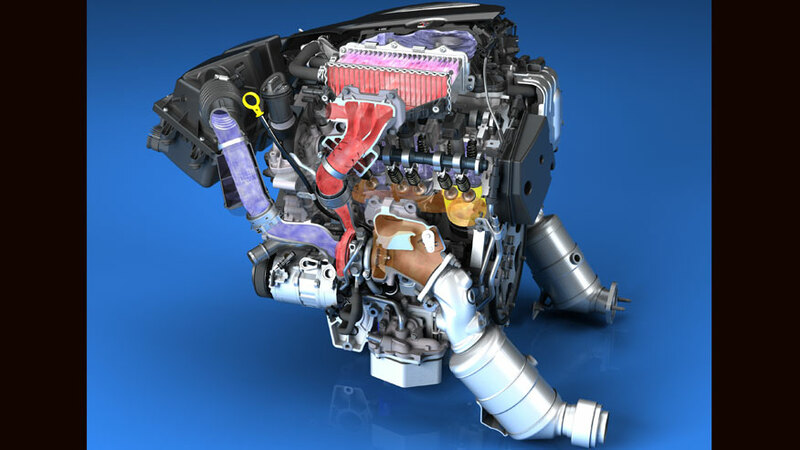 In fact, reports indicate that the peak output for this engine will be at 400 horsepower and 400 lb-ft of torque. Pretty beastly for a Cadillac, right? This entry was posted in Uncategorized and tagged cadillac, luxury sedan, powertrain technology, twin turbo. Bookmark the permalink. Richard Branson vs. Elon Musk … Is Virgin Going to Compete with Electric Cars? ?